Open Plan Living In A Burwell Orangery. Over the past ten years or so, more and more home owners are opting for open plan spaces that allow them to gather together to cook, eat and relax. This Burwell family were no exception. 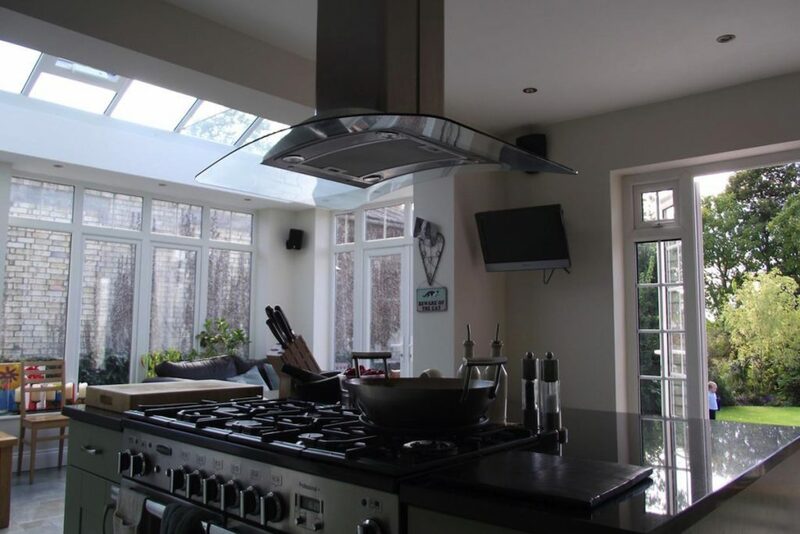 Their existing double story brick cottage ticked almost all of their boxes but when they decided to extend their kitchen area, they contacted the Cambridge Conservatory Centre. There are of course many ways to extend a home but there is nothing quite so stunning as an orangery. It’s the best of both worlds. Orangeries allow you to create a room that looks very much like the other rooms in your house with one notable difference. The lantern roof. Fully glassed, it floods the room below with natural light while spilling plenty into the rooms beyond. And it looks spectacular. The owners of this Burwell home wanted to create a space that would allow them to cook dinner while helping the kids with their homework. That would enable them to keep an eye on the children when they were playing in the garden. That would allow them to relax in a casual space that overlooked the garden. And they wanted a light filled space that they would love. We started with the existing materials of the home. Using Burwell White brick that matched the walls of the house, we created brick piers to support the new roof. 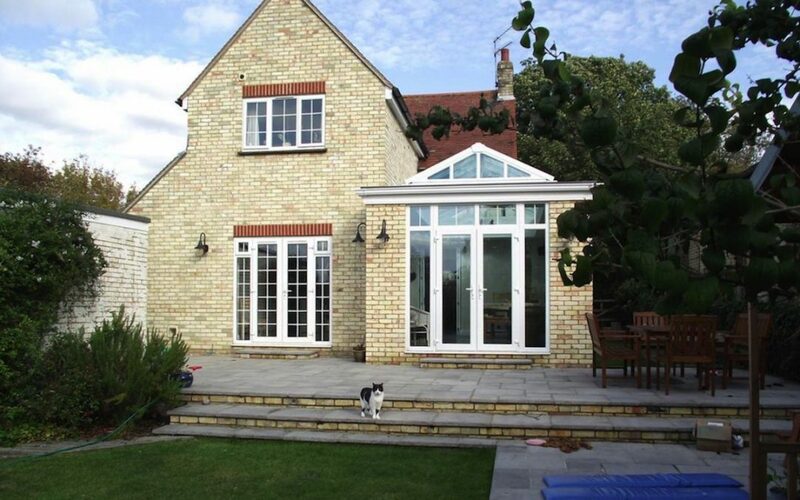 We used white uPVC windows to let in light on two sides and French doors to open the new room to the outdoors. But we also took note of the existing high gable that was a feature of the rear elevation of the house. 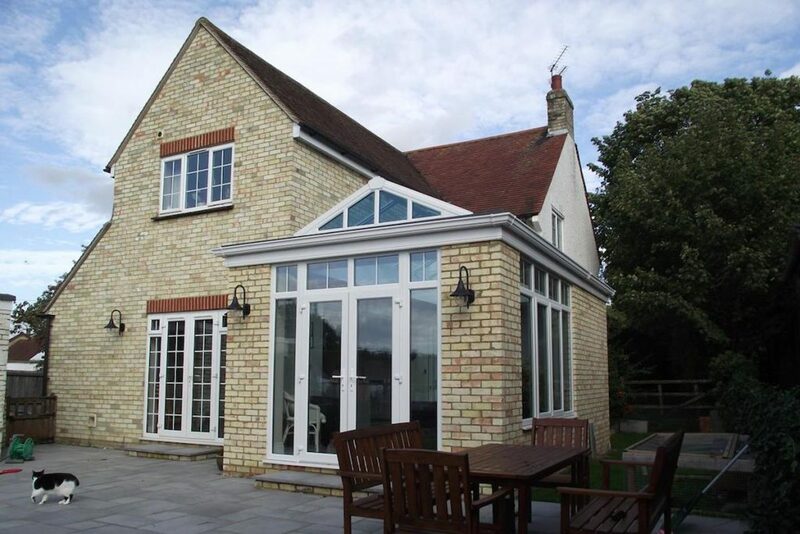 To tie the new Burwell Orangery together seamlessly with the existing house, we added a gable ended roof instead of the often used hip style roof. Although it’s not necessarily noticeable at first glance, it’s the little details that make the difference between a mediocre result and one that brings delight. Outdoor lights that matched those used to either side of the living room doors were fitted to the brick piers either side of the French doors and the door step to the living room was replicated in front of the new Burwell Orangery. The result is a room that feels like it was built at the same time as the home. Perhaps the brickwork looks a little newer but in time, it will weather connecting the new Burwell Orangery to the existing house in an even more perfect way. The family is thrilled with their new orangery and tell us they ‘live in it’ every day. At 6.3m long x 3.9m wide, the space certainly delivers on style as well as practicality. Even the cat has given it the paws up!